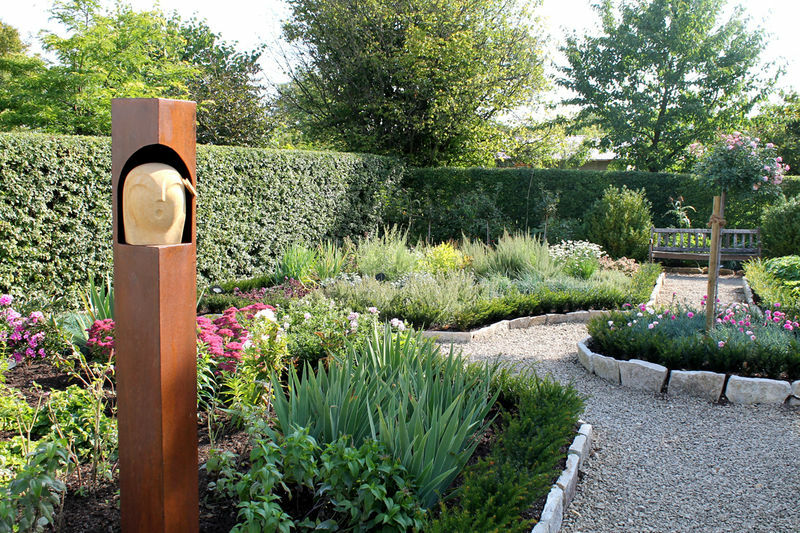 herbs, a nibble patch with large perennials and numerous flowering shrubs. down symmetrically in a cross shape. 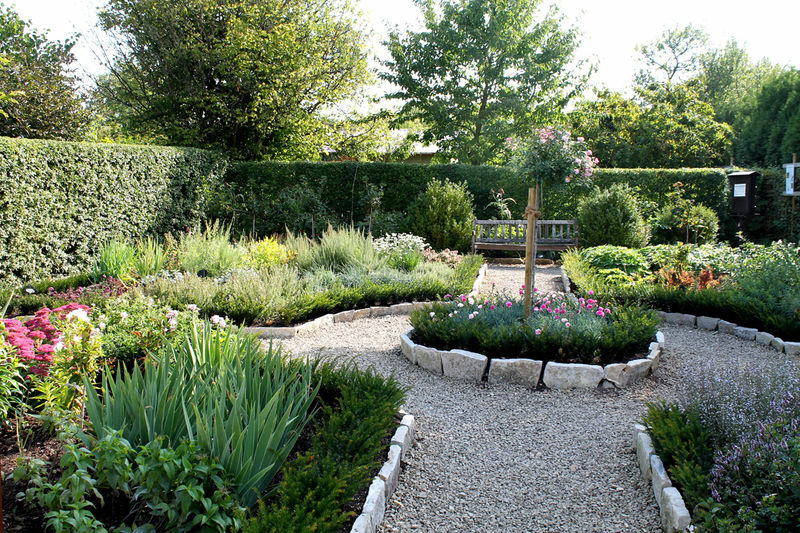 Each bed contains herbal and aromatic plants as well as a variety of interesting and impressive annual and perennial plants with coloured blossoms and scents. The idyllic benches between them together with the historic building form an attractive unit.